led the American League in Strike Outs in 1918, 1923, 1924, 1927 and 1928. 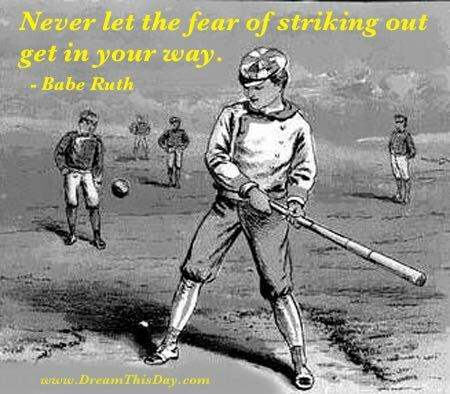 You are certain never to be a winner if you don't take your time at bat. Do your best, and accept with gratitude whatever result you get. Defeat is not the worst of failures. Remember you will not always win. Some days, the most resourceful individual will taste defeat. after you have done your best to achieve success today.